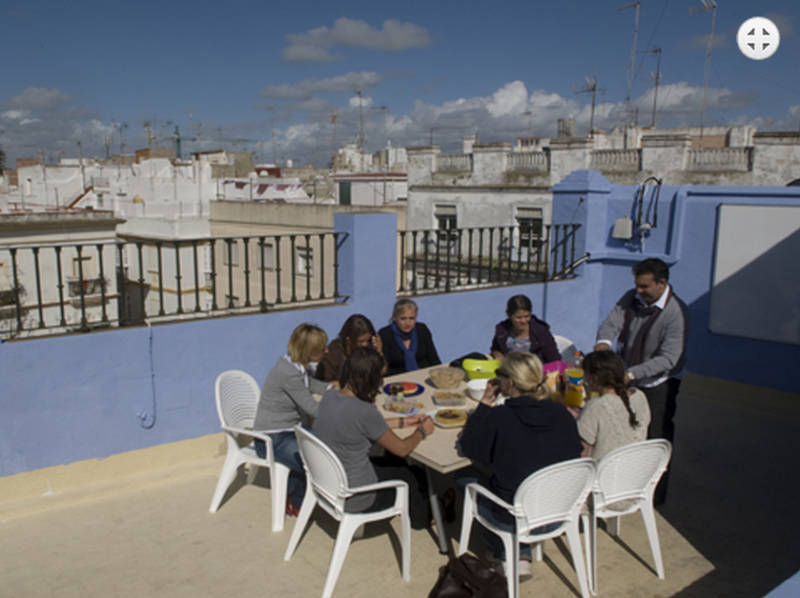 In our Spanish school in Cádiz you will find the perfect headquarters to carry out all your academic activities. With Wi-Fi connection to the Internet throughout the premises, communal spaces in and outside the building, a courtyard and a terrace, a kitchen, computer labs and a book and video library, the school is conceived and conditioned to provide every resource you might need in your passage through Cádiz, ensuring that you keep your feet well on the ground while you explore the nooks and crannies of this unique town. The General Intensive Spanish Course is our signature program: you will work on every language skill plus learn about Spanish language cultures with 5 extra lessons per week (+5). The Intensive program is available at all 6 levels, with each level divided into subgroups to make sure you’re placed exactly where you should be. Each course is divided into grammar and conversation. First you will study the basic language skills individually - reading, writing, speaking and listening – and then work to integrate them. The +5 culture classes cover topics as varied as History, Art, Civilization, Literature, and Cinema. These extra lessons will lead you to truly dominate the Spanish language in all its contexts. Living with a host family has two major benefits. First, it's the best way to get to know Spanish culture and see what daily life is like for a native Spaniard. Secondly, our host families will speak to you in Spanish 100% of the time, helping you practice the skills you're working on in Spanish classes in an authentic context. 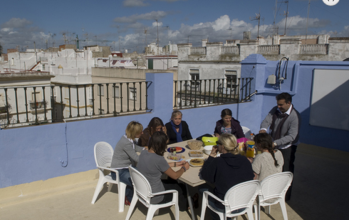 If you want to make new friends from all over the world whilst you learn Spanish in Spain, then this is the option for you! Our student apartments in Spain bring together international students from the Enforex School in a pleasant, open atmosphere. The apartments are not luxurious, but are completely furnished and equipped. No meals are offered but each apartment has a kitchen with a microwave, pans, cutlery and everything you might need to cook your own food. Distance from the airport: 45 km. •Furthermore, our language school is within walking distance of public transport stops, as well as coach and train stations for longer travel journeys. Right in the thick of the action, our quaint, historic building is surrounded by the characteristic squares of the city, conveniently stocked with a plethora of restaurants and cafes, shops, bars and every other sort of amenity thinkable. And that is without even taking into account the fact that we are no more than a couple of minutes away from a public park and perhaps twice as much as that from the staggering beachfront. - In case a visa is refused to the student, the school will charge a minimum of 350€ or 35€ of total cost Euro and the remaining balance will be refunded to the student upon receipt of an original VISA refusal letter. be set in writing and signed by Enforex). exactly where the students are to be dropped off. • Enforex guarantees a maximum of 10 students per classroom. 50% reduction of class hours.